"The concept of saying 'downgraded' or 'weakened should be forever banished," said a meteorology professor. "With Florence, I felt it was more dangerous after it was lowered to Category 2." 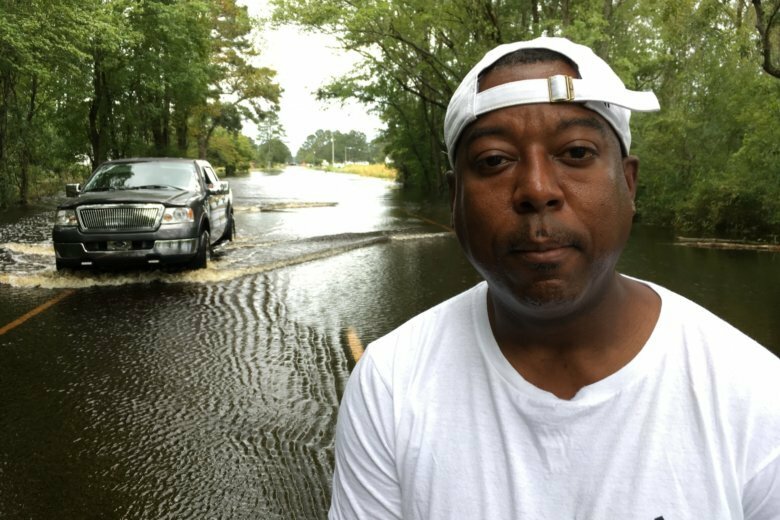 TRENTON, N.C. (AP) — When meteorologists downgraded Hurricane Florence from a powerful Category 4 storm to a Category 2 and then a Category 1, Wayne Mills figured he could stick it out. He regrets it. The Neuse River, normally 150 feet away, lapped near his door in New Bern, North Carolina, on Sunday even as the storm had “weakened” further. Several meteorologists and disaster experts said something needs to change with the 47-year-old Saffir-Simpson Hurricane Wind Scale to reflect the real risks in hurricanes. They point to Florence, last year’s Hurricane Harvey, 2012’s Sandy and 2008’s Ike as storms where the official Saffir-Simpson category didn’t quite convey the danger because of its emphasis on wind. The National Oceanic and Atmospheric Administration says it takes all hazards, including rain and storm surge seriously — and communicates them. Forecasters were telling people four or five days before Florence hit that it would be a “major flooding event,” said Bill Lapenta, director of NOAA’s National Centers for Environmental Prediction, which includes the hurricane center. University of Alabama’s Jason Senkbeil studies the intersection of meteorology and social science and is working on two different new hurricane scales using letters to describe danger or potential damage. Florence would be an “Rs” for rainfall and storm surge. Borenstein reported from Washington, Breed from North Carolina.